Healthy U-Akansha : Weight Loss Or Health Loss? At the end of the 17th century, Morton described a condition that was seen in adolescents and young adult women who were affected by it.One hundred and seventy years later, Gull in England & laseque in France gave the condition its current name. The condition I am are talking about is anorexia- it is a disease characterized by intense fear of gaining weight, body image distortion, which can lead to serious complications like amenorrhea. Women & even men in today’s western world are struggling hard to keep themselves in with the fashion world without caring if in the bargain they are sacrificing their long-term health! They induce into voluntary self-starvation and emaciation. 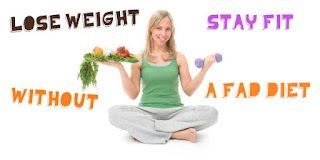 In this condition weight loss is considered as a sign of extra ordinary achievement and self-discipline, weight gain is perceived as an unacceptable loss of self control. So here is the million-dollar question can one lose weight and still maintain good health? One needs to follow a good eating pattern and make sure to maintain a regular fitness regime. Foods like low fat milk, fruits, and vegetables, nuts, curds, cereals, & legumes should form a major part of the diet. Fats again a tabooed substance in a dieters list should be taken in moderation as when completely lacking, it can lead to EFA deficiency. Avoiding colas, fast foods, chats, and the most popular Indian version of burger- Vada Pav! This itself can make a big difference. However occasionally indulging in these, foods should not lead to a guilt feeling but instead this should serve as a motivation to hit the gym and sweat the fat out! After all the taste buds too need scrumptious foods now and then. Eating in moderation is the key to avoid unwanted weight gain. Having small & frequent meals keeps the metabolic rate ‘up’. The bottom line is do not deprive yourself of food instead sweat it out by exercising and eating healthy.